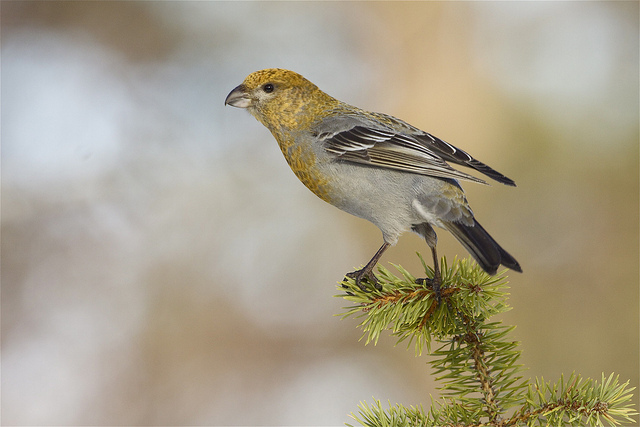 The Pine Grosbeak is a breeding bird of the northern tundras of Russia and Scandinavia. In Western Europe it is an extremely rare vagrant. The male is bright red, the female is yellowish. 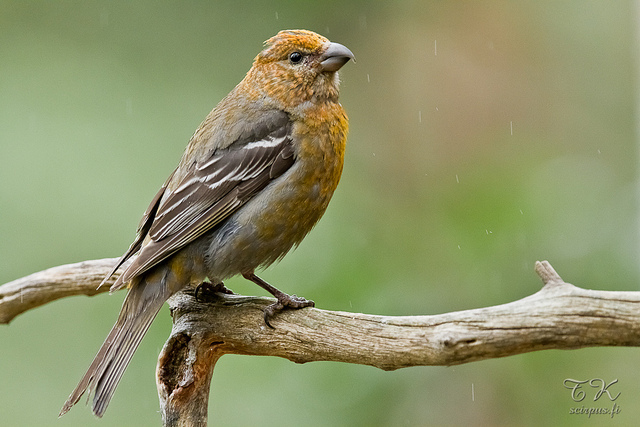 It has a thick beak, similar to that of a Crossbill.